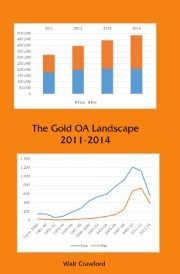 On October 29, 2014, Joseph Esposito posted “The Size of the Open Access Market” at the scholarly kitchen. In it, he discusses a Simba Information report, “Open Access Journal Publishing 2014-2017.” (I’m not copying the link because it’s just to the blurb page, not to any of the info that Esposito provides.) The 61-page Simba report costs a cool $2,500 (and up), so I can’t give you any detail on the report itself other than what Esposito passes along. Simba notes that the primary form of monetization for OA journals is the article processing charge or APC. In 2013 these fees came to about $242.2 million out of a total STM journals market of $10.5 billion. I thought that latter figure was a bit high, and I’m never sure when people are quoting figures for STM alone or for all journals; but even so, if the number for the total market is high, it’s not far off. That means that OA is approximately 2.3% of the total journals market (or is that just STM . . . ?)…. If those numbers are roughly right, then 2.3% of the scholarly publishing revenue equates to something like 22% of all published papers. That comment is by Mike Taylor, who’s active in this comment stream. …and in the process realized what I should already have known: the journals are far to heterogeneous for sampling to mean much of anything. And, once I’d whittled things down, 1,200+ wasn’t all that bad. Long story short: I just finished looking at those journals (in the end, 1,211 of them–of the original 1,222, a few disappeared either because they turned out to be ones already studied or, more frequently, because there was not enough English in the interface for me to look at them sensibly). 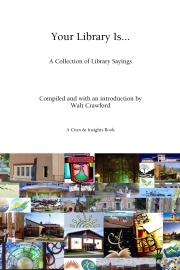 Which means that I’ve now checked–as in visited and recorded key figures from–essentially all of the DOAJ journals (as of May 7, 2014) that have English as the first language code, in addition to some thousands of Beall-set journals and hundreds of OASPA journals that weren’t in DOAJ at that point. Which means that I could do some very rough estimates of what a very large portion of the Gold OA journal field actually looks like. Which means I could, gasp, second-guess Simba. Sort of. For $0 rather than $2,500. A few thousand Gold OA journals in DOAJ that did not have English as the first language code in the downloaded database aren’t here. Neither are some number that did have English as the first language code but did not, in fact, have enough English in the interface for me to check them properly. So-called “hybrid” OA journals aren’t here. Period. Journals that appeared to be conference proceedings were omitted, as were journals that require readers to register in order to read papers, journals that impose embargoes, journals that don’t appear to have scholarly research papers and a few similar categories. I used a variety of shortcuts for some of the article counts, as discussed in the earlier essays. Maximum potential revenue numbers are based on the assumptions that (a) all counted articles are in the original-article category, (b) there were no waivers of any sort, (c) the APC stated in the summer of 2014 is the APC in use at all times. All of which means: while these numbers are approximate–the potential revenue figures more so than the article-count figures, I think, since quite a few fee-charging journals automatically reduce APCs for developing nations (as one example). On the other hand, some of the differences mean that I’m likely to be undercounting (the first four bullets) while the last bullet certainly means I’m overstating. Do they balance out? Who knows? Here’s what’s remarkable: that maximum revenue of $249.9 million, which is almost certainly too high but which also leaves out “hybrid” journals and a bunch of others, is, well, all of 3.2% higher than Simba’s number. Which I find astonishingly close, especially given the factors and number of players involved (and Simba’s presumed access to inside information, which I wholly lack). Science, technology, engineering and mathematics (excluding bio/biomed/medicine): $66.0 million maximum potential revenue in 2013 for 170 thousand articles; $54.3 million maximum in 2012 for 138 thousand articles. Around 3,500 journals. Biology and medicine: $174.5 million maximum potential revenue in 2013 for 180 thousand articles; $139.0 million maximum in 2012 for 150 thousand articles. Around 3,100 journals. Humanities and social sciences (including psychology): $9.4 million maximum potential revenue in 2013 for 55 thousand articles; $6.9 million maximum in 2012 for 45 thousand articles. Around 2,400 journals. Those are very raw approximate numbers, but I’d guess the overall ratios are about right. The gold rush is in bio/biomed/medicine: is anybody surprised? In any case, now that I’ve looked at the 1,200+ additional journals, I will, of course, discuss those numbers. (Credit to the late great Tom Magliozzi) The third half of the Journals and “Journals” deeper look will appear in part in the January 2015 Cites & Insights, out some time in December 2014 (Gaia willing and the creeks don’t rise). That third half will be part of a multipart Intersections essay that also offers a few comments on the current DOAJ criteria (a handful of nits with a whole lot of praise) and considers the possibility that there’s a (dis)economy of scale in Gold OA publishing. Postscript, noon PST: I’ve enabled comments. I post so rarely these days that I’d forgotten that they’re now off by default. After writing the abbreviated discussion (not that abbreviated: 14.5 C&I pages) and the full version, and letting it sit for a day or two, I’ve concluded that the full version doesn’t really add enough value for me to make a serious case that people should spend $45 for the paperback C&I Annual if they wouldn’t buy it otherwise. I think the Annuals are great and worth the money, but it’s pretty clear nobody else does. 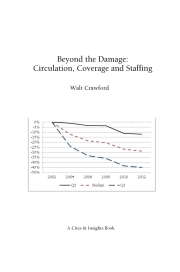 So the full version–19 pages in the two-column format–will be the primary essay (or set of related essays) in the January 2015 volume, and the 2014 Annual will only add a wraparound cover and an index to the contents of the eleven 2014 issues. I’ve added strikeouts to the text above as appropriate. As for a possible PoD book on Journals and “Journals”: still thinking about it. I’ve now gone through the rest of the DOAJ entries that offer English as one language possibility–another 2,200-odd, of which around 1,500 actually offered enough English for me to make sense of them. I’ve also gone through DOAJ itself for journals where I found it difficult to count articles directly (e.g., undated archives or archives consisting of whole-issue PDFs). The bottom-line counts for articles and possible revenue for 2013 now come out to around 448,000 articles and around $261 million. Of that, around 366,000 and $231 million are from journals in DOAJ; Beall journals that aren’t in DOAJ–theoretically a larger number of journals, actually not–account for another 76,000 articles in 2013 (around 21% of DOAJ’s numbers) and around $22 million in potential revenue (around 9% of DOAJ numbers). The few hundred OASPA journals that aren’t in DOAJ account for fewer than 6,000 articles (less than 2% of DOAJ) and around $9 million (4% of DOAJ). Some additional figures may appear in the March 2015 Cites & Insights; a coherent writeup of the whole OA journal scene (2011 through the first half of 2014)–or at least the very large portion of it I could investigate, essentially everything except 2,000-odd DOAJ journals that do not provide any form of English access–will appear next summer. More details later. This entry was posted on Friday, November 14th, 2014 at 10:49 am and is filed under Cites & Insights, open access. You can follow any responses to this entry through the RSS 2.0 feed. Both comments and pings are currently closed.